With a slate of purpose-built rental high rises on the horizon in Toronto, one industry critic believes the condo market may take a hit. 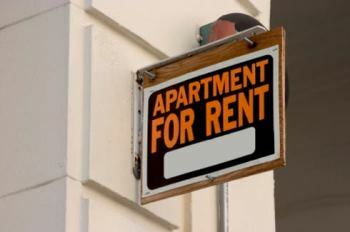 “There are incredible bargains coming up for rentals – there are a bunch of new apartment buildings that are purpose-built for renting,” Hilliard MacBeth a portfolio manager with Richardson GMP told MortgageBrokerNews.ca. Toronto is already littered with high rise condo buildings, offered almost exclusively to purchasers, but that trend may be coming to a close. Rental demand is at a record high in Ontario’s capital city, and with a vacancy rate of 1.6 per cent (and 1.3 per cent for condos), a number of developers are turning to the purpose-built market. Morguard Corp., for example, recently announced two towers planned for the Forest Hill neighbourhood of Toronto. They will feature a total of 586 units and all will be on offer as rentals – despite initial plans to offer almost half of the units for sale. Units such as these will surely be scooped up quickly by renters who desire condo-like amenities and would prefer not to deal directly with unit owners. And MacBeth believes purchasing condos in the current climate isn’t the smartest investment. “If you look at the total cost of owning, a $500,000 condo – renting for $2,000 is cheaper than owning. Owning will probably cost you $3,000 per month,” Macbeth said. “People look at the mortgage interest payments at $1,200-$1,500 and see a rent at $2,000 and they think it’s cheaper to own. However, it remains to be seen how many developers decide to hop on the purpose-built bandwagon.